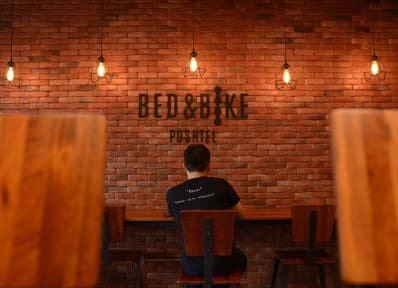 Bed & Bike Poshtel has a loft-style decoration with full-furnish. Located in the central Chiang Rai, which is less than 330 meters from Bus station or only 5-minute walk. There is a 24-hour CCTV and parking is available nearby. 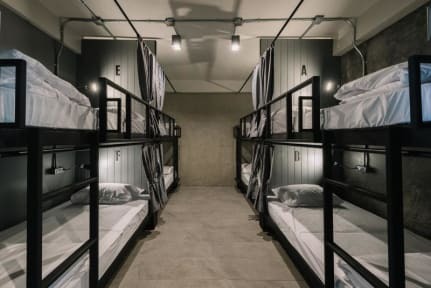 We also provided high-speed Wi-Fi and bike rental. The cafe services everyday on the ground floor. The stylish bedroom is furnished by comfortable bedding, locker, private lamp and air conditioning. Our property comes with a fully equipped kitchen with a dining table. The poshtel also has a recreation zone with pool table and board games. Other facilities include free luggage storage before check-in and room service. At night, shopping is less than 3-minute walk, and 5-minute walk from Saturday walking street. This area is also surrounding by many restaurants, minimart, local retailer and Thai massage.